Mariell's wholesale bridal or bridesmaid 14K rose gold necklace set has freshwater pearl and a graceful woven knot motif to add a touch of class to any wedding at a great price! 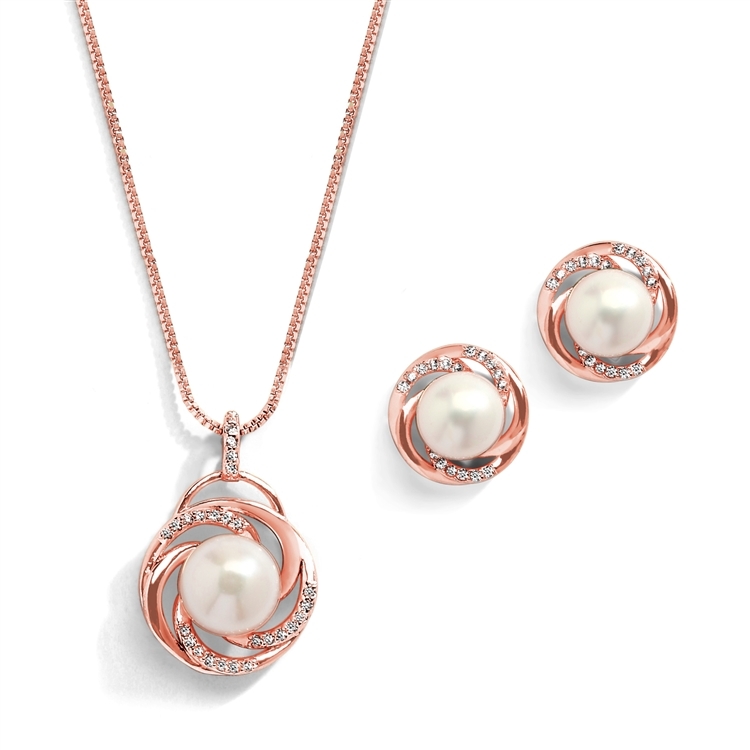 Mariell's classic 14K rose gold bridal or bridesmaid necklace and earrings set has genuine freshwater pearls in a graceful knot motif This bridal set has an adjustable 16" -19" necklace with a 9mm pearl drop. The dainty earrings feature 7mm pearls and are 1/2" h. This set will add a touch of class to any wedding at a fabulous price!